Attention all Black Friday aficionados: The night of reckoning is upon us! While most stores won't be offering in-store doorbuster deals until tomorrow evening, the majority of the major Black Friday retailers start their online sales TONIGHT! specially subscription box services and hay if you ever wanted to try you luck now is the best time. Black Friday special code is valid all day today all the way to Monday. The special ends at midnight Monday! You must use the code at checkout. Checkout our review of Trendy Butler. For Black Friday save on everything in the Birchbox Shop, including gift subscriptions when you spend $30 or more and enter one of the following promo codes at checkout: Everyone gets 10% off with code 10FORALL, subscribers get 15% with code 15FORSUBS and Aces get 20% off with code 20FORACES. Not valid on Steals of the Day. Checkout our review of Birchbox. Valid from November 24th 2016 to November 27th 2016. Valid only on all regular price men’s and women’s Frank + Oak merchandise at frankandoak.com and in store. Excludes third party items. Offer valid for US & Canada. Cannot be combined with any other offer or applied to prior purchases. Terms of offer subject to change. Checkout our review of Frank & Oak. I’ve been trying out a lot of monthly box subscriptions on myself, so I decided to start one for my wife. I had heard a lot of good things about Stitch Fix, so I thought that special someone in my life would enjoy some new summer clothing. The service begins the way they all do, with an in-depth survey of your stylistic choices, sizes, and your budgetary restrictions. My wife did that one day while I was mowing the lawn, so I missed some of the details, but she did say that she believed they got a good idea of what she is all about. 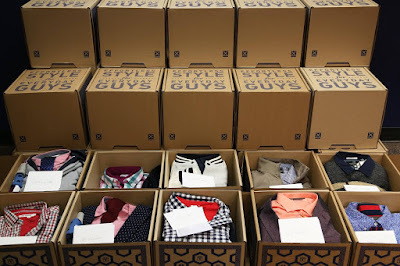 I’m a fan of the business plan Stitch Fix has conjured up. The personal stylist picks out five items per month for you to try on, which costs you a $20 styling fee. But, if you decide to keep any of the items, the $20 is credited to your account. Also, if you decide to keep all five pieces, you also get a 25% discount, which is really, really nice. Other nice features of Stitch Fix are the personal note from your stylist and styling suggestions for all the items in your package. My wife enjoyed looking that stuff over. The first item in the “fix” my wife received was the Papermoon Teslow Flutter Sleeve Knit Top ($48). She really like the fit and feel of this shirt, especially the length afforded to the trunk. She is long through the middle, and most shirts she buys hike up when she moves and raises her arms. She wasn’t crazy about the pattern, but the fit was enough for her to keep it. Next was another Papermoon top, the Magguie Lasercut Detail Blouse ($44). Again, great length and this time a solid salmon color. She really likes the scalloped and detailed neckline and the shirt is fancy enough to wear to school (she’s a teacher) and playful enough to dress down with a pair of jeans. Another keeper! The third item was the Market & Spruce Hi-Lo Short Sleeve Tee ($44). A very nice, comfy t-shirt for summer, but this one ran into the trunk problem I described above. And for $44, a t-shirt needs to fit perfectly. Along with the shirt came the Liverpool Callista Printed Cuffed Denim Short ($58). These shorts have a cool, yet subtle pattern that make them different than most jorts. My wife loves the length of them, reaching mid-thigh, as she is “not middle school anymore.” Her words, not mine. Keep! So, of the first five items received, three were kept, which more than covered the styling fee. Add to that the fact that my wife didn’t have to run to the mall and shop for herself, and we are both happy with how Stitch Fix worked out. 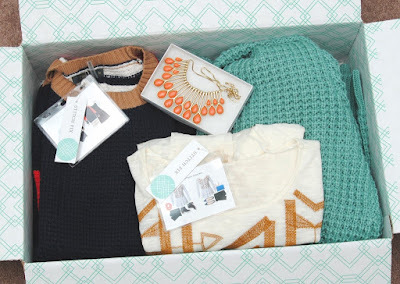 We would definitely suggest Stitch Fix (Stich Fix) if you are looking for help from a stylist. She is going to keep her subscription, and I am going to start one as well! ThreadBeast is another monthly subscription box company offering clothing to its customers. However, they have a very special audience in mind: folks who like urban streetwear. And by urban streetwear, I’m talking about clothes a skater would like. Comfortable, casual, bopping around clothes. Perhaps even a hip-hop sort of vibe. At least, that’s what my nephew tells me. ThreadBeast isn’t really for me, but it’s right up my sister’s son’s alley (he’s 16 years old), so the subscription I started is for him. In order to begin our subscription plan with ThreadBeast, my nephew had to answer about ten questions about stylistic choices and his sizes for different clothing and accessory items.  Premium… 6-7 items per month, same as essential, but also some premium items including denim and outerwear. I decided to slide right down the middle and picked the Essential plan. The first box we received contained five items. The first one was a Benny Gold Golden State Champions T-shirt, which goes for $30 retail. It’s nice t-shirt, black with silver logo and print. It’s advertised as being crafted from 100% soft ring-spun cotton. My nephew says it’s very soft and comfortable, so the description seems accurate. He gives this item a thumbs up. Next was the Grizzly Griptape Garden Longsleeve Shirt, retailing at $80. Shirt is a misnomer, for all intents and purposes. It’s really a light jacket. Again, 100% cotton, olive green with the Grizzy Garden print over the entire surface of the shirt (jacket). In my opinion, it’s a really well-made piece of clothing, but my nephew is luke warm. He’s not crazy about the pattern. Grizzly Griptape stamp logo on the bottom of the sock. “Cool socks,” my nephew said, so…I’ll consider that a thumbs up. The next item also came out of the Grizzly Griptape catalogue. The Bear Cinch Sack retails for $32, comes in black with a reflective, silver 3M Bear logo, great for hauling gear around while skating or biking (said my nephew), and also provides a bit of protection when the sun goes down (said my sister). Not a wow-inducing item, but a well-made, practical piece to go with the other clothing. Finally, another item in the same color scheme…Joggers from Holy Couture, retailing at $40. These sweatpants (as I would call them) elicited at “oh, these are sick” from my nephew, which my sister assured me was a good thing. Apparently, joggers are all the rage. These are a base grey with black stripes on the waist and ankle pieces. Honestly, it’s a nice pair of pants. I would wear them too. If you’re not keeping score at home, that’s $194 worth of clothing for $85. A pretty darn good deal. 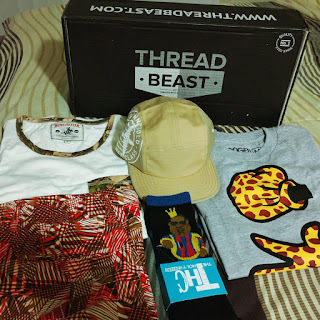 However, it was the first box in the subscription, so I’m sure ThreadBeast puts its best foot forward. ThreadBeast (http://www.threadbeast.com/#welcome) is worth a shot. The products for some monthly subscription box services are impossible to figure out from the name of the company. BirchBox, Ipsy, and even Trendy Butler require, at the very least, a site visit to see what wares they are peddling. I don’t believe that is the case with MeUndies. Socks, and T-Shirts.” That’s quite a claim, and one I planned on testing. I decided to dive right into a monthly subscription plan because that saves $8 each, reducing the per-pair cost to $16. 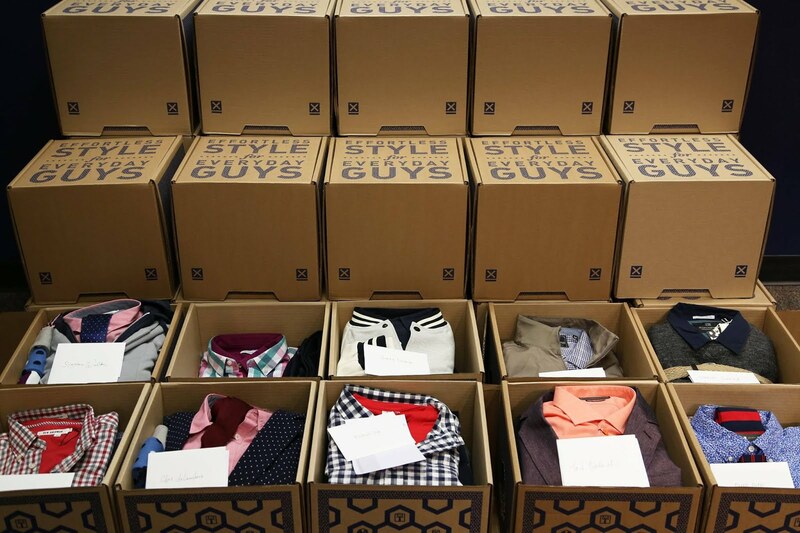 Men have four styles from which to choose: boxer brief, trunk, boxer, or brief. Women have four as well: cheeky brief, bikini, boyshort, or modal thong. I went with my mainstay, the boxer brief. Then I chose my size and color for my first pair. You can choose from the classic Jockey pack colors of black, navy, burgundy or grey, a bold blue or purple (all $20), or patterns from the adventurous selection ($24). You pay full price for the first pair, then the $8 off kicks in with the subscription. The monthly subscription only includes the adventurous selection, curated especially for you. You do have the subscription choice of one or more pairs of underwear each month. I decided to start with one. My first order, the one I paid full price for, was the American Stripes adventurous pattern, which I have to say is nice looking. Royal blue with red and white stripes. And I have to say, they are extremely comfortable. The fabric moves and stretches enough to fit me well, but is also sturdy enough to support me as I move. Speaking of sturdy, perhaps my favorite feature of the MeUndies undie is the waistband. Let’s just say that nobody is knocking down my door to be an underwear model, as I put a little bit of pressure on my undergarments from above. The waistband really hangs in there, not rolling over like the bands of my 3-pack boxer briefs from Walmart do. Another great feature of these MeUndies boxer briefs is the room afforded to my special equipment. The pouch in front gives my guys room to breathe and move as necessary and also avoids those painful, near-castration episodes that occur with store-brand underwear that bunch and grab and pinch. Overall, I have to give MeUndies a thumbs up. The only drawback is the price. They are a little more expensive than I am used spending on undergarments, but the comfort level might change my mind on that. In addition, they also offer undershirts and socks, and if they are as comfortable as the boxer briefs, I might be in love. 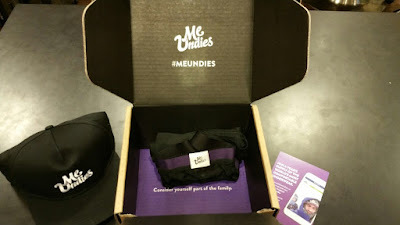 In my opinion, men and women alike should give MeUndies (https://www.meundies.com/) a try. Loot Crate is a monthly subscription company with a different spin on the type of goods they send. Most companies in this space ship clothes and toiletries and things of that nature. 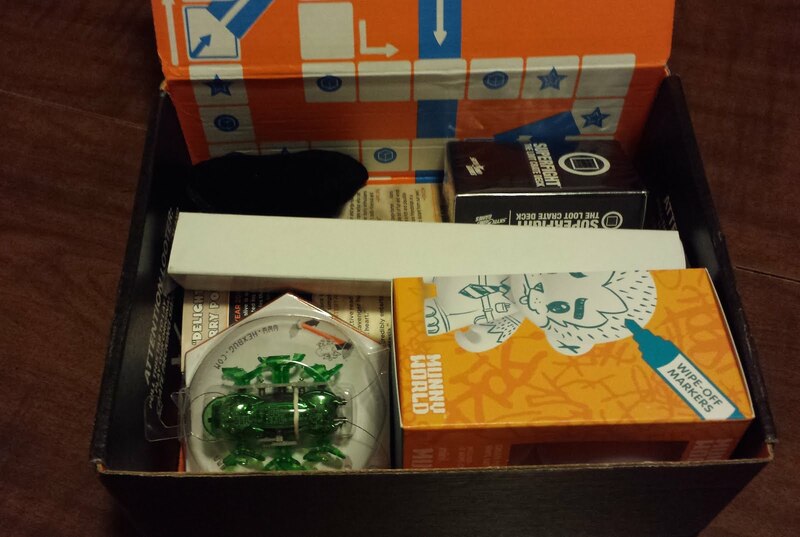 Loot Crate sends products that “geeks and gamers” would enjoy. They are partnered with titles and brands such as Adventure Time, Fallout, DC, Marvel, Halo, Nintendo, Star Trek, Star Wars, World of Warcraft and The Legend of Zelda. But there are also specialty crates like Halo Legendary Crate, Firefly Crate, and a Call of Duty Black Ops III Crate, for example. The first package I received from Loot Crate was the “Fantasy” edition. There were many claims that the advertisements the company used early on were misleading when compared to what was delivered. This advertisement seems a little more honest. Perhaps they got the message from all the complaints. The first item in my crate was a Dungeons & Dragons t-shirt. It’s red with a decent looking D&D logo. I will get good use out of this shirt. I like it. Next is a D&D bow tie…not a big bow tie fan to begin with, but if I were, the design of this one might devour all of my hit points. Ick. And then Princess Bride Playing Cards. Yes… Princess. Bride. Playing. Cards. Maybe kind of cool for the older generation of geek or gamer, but totally lost on the younger generation. The next item from the Fantasy Loot Crate was an inflatable crown, which is good for-- -if you figure it out, please tell me. How about a Harry Potter Bag Tag? I’m a HP fan, but I don’t need to hang this on my luggage or anything. To be fair, a good friend of mine is a huge, huge, huge, HP fan. I think she’ll get a kick out of this. FAOA (falling apart on arrival). And no terrible crate would be complete without an advertisement. Included was a Ninjak #1 DLC Comic. At least that’s what it was called. It was not much more than a come-on to purchase the comic in the future. Save your money folks, and buy a quality piece of memorabilia from your favorite movies or games. The Honest Company is an online subscription site that claims to deliver “honestly safe, effective essentials for family and home.” It is co-founded by actress and mother, Jessica Alba. The FAQ page answers the question of why they chose the name The Honest Company and their response is no surprise. First, they wanted to remain “free from fraud or deception, truthful” both in what they put in their products and how the business works behind the scenes. Next, they effort to be “genuine, real.” It’s not a big company looking to make money at any cost, but instead a business run by parents for parents, with the best interest of families in mind (not to mention the environment and animals). Finally, they want to be “respectable, praiseworthy” to the point that you want to tell everybody you meet how great the company is. They produce and distribute all of their own products, which are “painstakingly” tested for both effectiveness, safety, and environmental concerns. None of their products are tested on animals, and The Honest Company has signed PETA’s Statement of Assurance to guarantee that. The Honest Company offers several bundles to its subscription customers: Diaper and Wipes, Essentials, Health and Wellness, and Organic Infant Formula and DHA. They also offer a discovery kit which is full of samples and only costs the price of shipping. It’s a good way to check out the company without any commitment. Some online research reveals that folks by and large like The Honest Company, both because of its product line and its business model, including their mission. However, the proof is in the pudding, so I decided to give The Honest Company a shot. I started with the Honest Company Essentials Bundle, which costs $39.95 plus tax. Included are your choice of five personal care and cleaning products. All of the included products are natural and non-toxic. In general, the subscription bundles will ship every four weeks unless you pick another frequency. This is easily adjusted in your account information. The first two items in my bundle were honest shampoo and body wash. The sweet orange vanilla is advertised as “perfectly gentle,” and the dreamy lavender as “ultra calming.” Each container retails at $9.95. Both scents are pleasing. The lavender is the scent you get from stuff in purple containers in the cleaning aisle at the super market. Sweet orange vanilla is more like creamsicle than a fruity orange scent. Both are gentle and effective soaps. I like them. The next two items were the honest bath cleaner and honest glass and window cleaner, both retailing at $5.95. A lot of people think you need harsh chemicals to clean your bathroom effectively, but The Honest Company dispels that myth. The bathroom cleaner not only makes things shine, but also smells nice. The glass and window cleaner does a great job as well, without leaving behind any residue. The last item included in my bundle was the honest toilet cleaner ($5.95). It also shined up the old commode, and did so without the aid of ammonia, bleach, or hydrochloric acid, and smells great without help from synthetic fragrances. Additionally, The Honest Company ships its products in recyclable packaging, and uses materials made from recycled goods as often as possible. And a portion of every purchase is donated to a family in need. All things considered, I am a fan of The Honest Company (https://www.honest.com). I would recommend their subscription program to anybody who is concerned about the ingredients used to make the products their family uses, their effects on the environment, and those who want the convenience of home delivery.